Forests cover over one third of the world’s land surface, or around 4 billion hectares. Abundant in biodiversity, crucial in the ecological services they provide to the planet and its living inhabitants, forests are also attractive in terms of economic potential and natural resources. However, the persistent and widespread degradation of these vital areas poses a direct threat to the rural communities and indigenous peoples who have inhabited and depended on them directly and primarily for centuries and continue to do so. 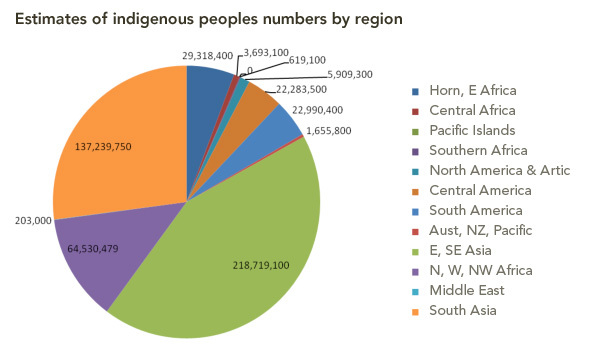 Data adapted from S. Chao, 2012 “Forest Peoples: Numbers Across the World”. Forest Peoples Programme, Moreton-in-Marsh. Map source: FAO 2011 State of the World’s Forests 2011. Food and Agriculture Organisation, Rome: 2. 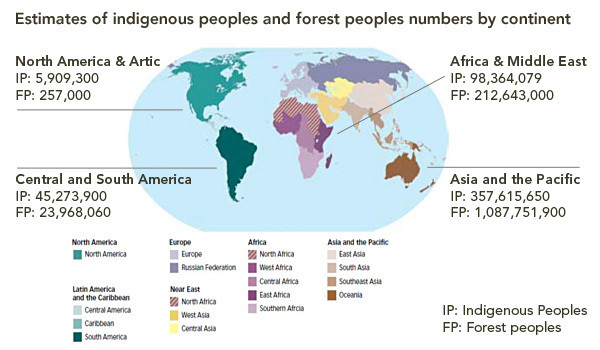 Adapted from S. Chao, 2012 “Forest Peoples: Numbers Across the World”. Forest Peoples Programme, Moreton-in-Marsh. Forest-dependent people in many countries of the global South do not enjoy secure tenure over their customary forests. Their rights to these forests and the natural resources therein are frequently inadequately addressed or protected under existing national legislation. As a result, their forests are vulnerable to private investors and government-led development initiatives, and their capacity to defend and sustain their forests and customary livelihoods in the face of corporate and State interests is seriously compromised. Even seemingly positive land use changes, such as the conversion of forests to national parks or designated conservation areas, can lead to local communities being forcibly evicted or severely restricted in their traditional forest activities. 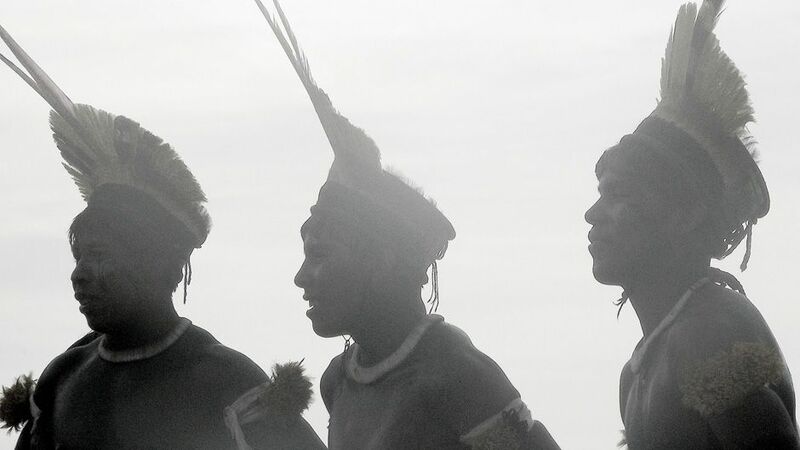 To make up for the failure of governance in applying international human rights norms and respecting indigenous and forest peoples’ rights, there has been a proliferation of standard-setting in the private sector suggesting how these norms should be respected by investors through voluntary certification schemes requiring third-party verification. Such standards have now been developed for forestry (Forest Stewardship Council), palm oil (Roundtable on Sustainable Palm Oil), soy (Roundtable on Responsible Soy), bio-fuels (Roundtable on Sustainable Biofuels) and carbon sequestration (Climate, Community and Biodiversity Alliance). However, the main shortcoming of these voluntary schemes is that, being voluntary and business-led, they have not sought to build the capacity of national government agencies to protect the livelihoods of vulnerable communities with weakly recognised rights in land. A recent encouraging development at the international level is the creation of the Voluntary Guidelines on the Responsible Governance of Tenure of Land, Fisheries and Forests in the Context of National Food Security, approved by UN Member States on 9 March 2012 and endorsed by the Committee on World Food Security on 11 May 2012. The Voluntary Guidelines, as a form of ‘soft law’ (i.e., non binding), promote secure tenure rights and equitable access to land, fisheries and forests as a means of eradicating hunger and poverty, supporting sustainable development and enhancing the environment. 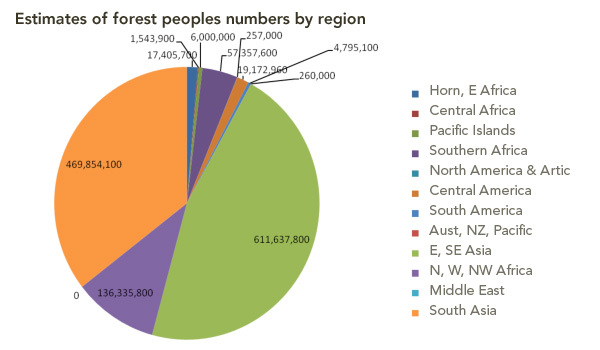 To conclude, the findings of “Forest Peoples: Numbers Across the World” confirm that “the lack of existing reliable information about forest-dependent peoples, their numbers, livelihoods and circumstances is itself a symptom of their marginalisation in forest policy making”. The report seeks to remedy this gap. Having a better idea of who forest peoples are and where they live raises awareness of the social dimension of forests and their intrinsic value to communities who have traditionally depended on them, and continue to do so to this day, and whose rights to the forest are being challenged by developments and land use changes carried out without their Free, Prior and Informed Consent. Seeing the people for the trees by Sophie Chao is licensed under a Creative Commons Attribution-NonCommercial-ShareAlike 3.0 Unported License.